At nine months old, my daughter was intent on getting her hands on anything that is not appropriate for babies. My cell phone was her biggest obsession. Whenever she was fussy, all I had to do was hand her my iPhone and she would calm right down (I didn’t turn it on for her though). Of course, she also promptly stuck it in her mouth. Which led me to wonder what kind of toxins might be lurking in my phone and case. According to HealthyStuff.org, researchers evaluated the level of toxic chemicals in 36 different cell phones and found chemicals of concern in every single one. These chemicals included lead, bromine, cadmium, mercury and chlorine and are linked to serious complications including cancer and birth defects. I know I’m not the only parent to hand her child a cell phone to entertain and distract during a moment of fussiness. So to minimize the amount of toxins that your child is being exposed to, cover your phone with a case that is low in toxins. Unfortunately, this is a lot harder than it sounds. 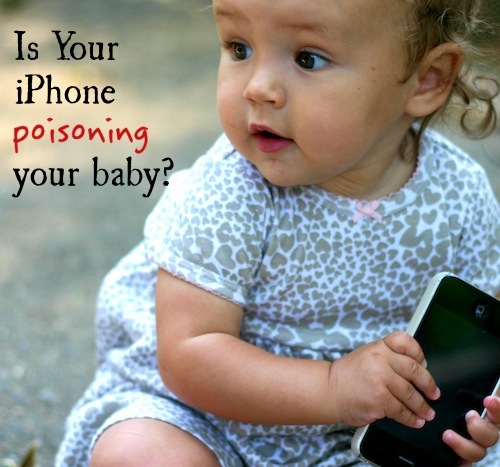 Cell phone cases don’t usually disclose how toxic they are or even what they are made out of. After hours of searching, I found the following six options. While this isn’t a guarantee that there aren’t toxins hidden in these materials, they are the best options for now. If you get a wood case, pay attention to the type of finish used on it as well as whether any toxic glues were used in its construction. Kroma cases are BPA-free, BPS-free, lead-free, phthalate-free and constructed of food-grade materials. Plus, they are durable and hold up to being dropped and smashed. Even better, they have interchangeable backplates in beautiful designs so you can easily change the look of your phone case. Kroma sent me one of these cases to try out, so I gave it to my husband because he drops his phone constantly! He has been using it for six months and it still looks like new. My only complaint is that there were limited “masculine” design choices. 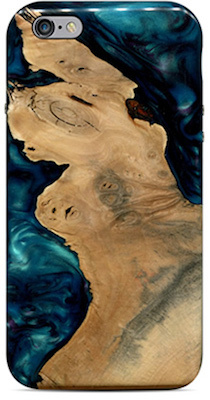 Grove made cell phone cases are constructed from natural materials such as solid wood and natural leather. They are 100% constructed in the U.S. and they are finished with vegetable based oils. The wooden cases do use a 3M adhesive. These cases are not for everyone because the thin wood can break if it is dropped. 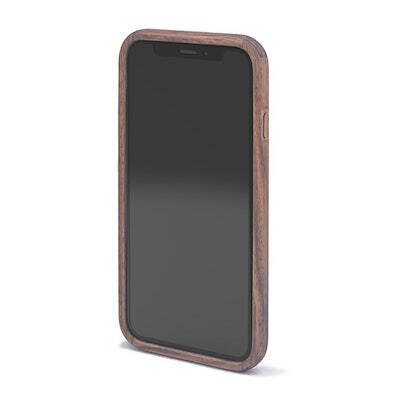 If your case does break, Grovemade offers 50% off the purchase of a new case. Constructed in the Netherlands, Miniot’s iWood case is constructed from a single block of real wood from well-managed forests. 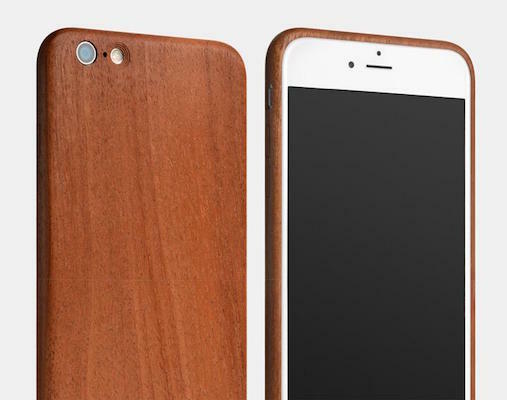 Carved’s 100% solid wood iPhone cases are beautiful, unique and in high demand. They sell as quickly as they are made. They are somewhat delicate because they are constructed of solid wood, but Carved offers a full refund within 30 days of purchase and a 50% refund within 60 days if they cannot repair the damage. 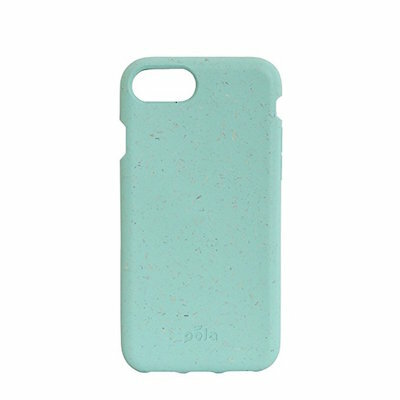 Pela’s non-toxic phone case is biodegradable and compostable! It is also NSF tested to be BPA-free, lead-free, cadmium-free and phthalate-free. The case comes in a variety of colors and protects against drops and scratches. Although not as pretty as the options above, this case is made from non-toxic, latex-free, healthcare-grade, silicone rubber. And it’s extremely durable. 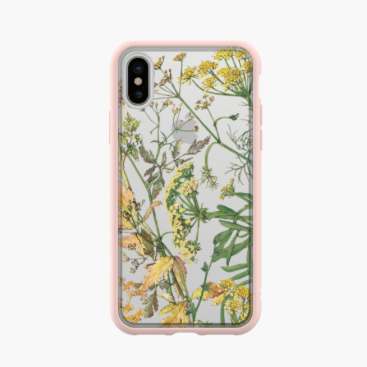 I would love to hear about any non-toxic iPhone cases that you have found! I am so upset none of these companies make a case for the Samsung Note 5. There are so many silicone options out there but they all look so mass produced and I can’t trust that. I tried looking up zCover for it but nothing. 🙁 Help! I don’t have much experience with Samsung cases unfortunately. Can anyone else out there recommend anything? I will also do some research. Thank you so much Cindy. I’ll keep on my search as well and report back.